The FARGO® C50 card printer offers a simple and reliable solution – at a price everyone can afford. Plug-and-play, the C50 can create personalized IDs for membership and loyalty cards, casino employee IDs, or visitor badges for schools whenever and wherever you need them, in five minutes or less. Featuring a sleek, compact design, the C50 makes it an easy to fit even in the smallest of office settings. 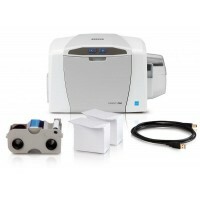 Designed with efficiency in mind, the C50 comes with built-in Swift ID™ badging software, automatic printer health monitoring via the included FARGO Workbench™ diagnostic utility and an easy to install, all-in-one printer ribbon and card cleaning cartridge, making your in-house card printing virtually worry-free. Backed by a global two-year warranty, the C50 can be seamlessly integrated to work with other HID products, ensuring that you receive and retain the maximum value from the most trusted name in secure identity solutions. Provides organizations with a high-performance, energy-efficient photo ID printing solution that supports corporate sustainability initiatives while reducing costs. 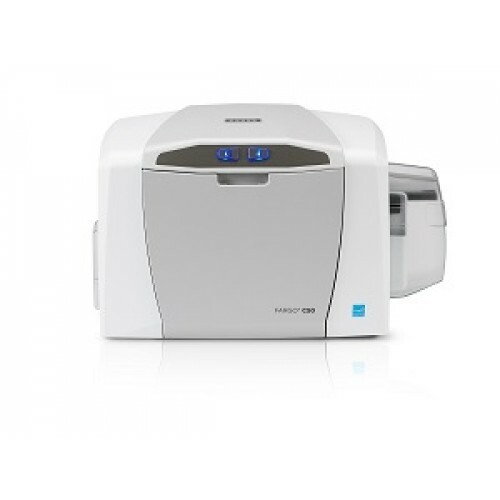 As part of its new ENERGY STAR rating, the default time for sleep mode has been lowered from two hours to five minutes, and printer design enhancements reduce the power consumption while in standby or sleep mode. Please download the product flyer from here.